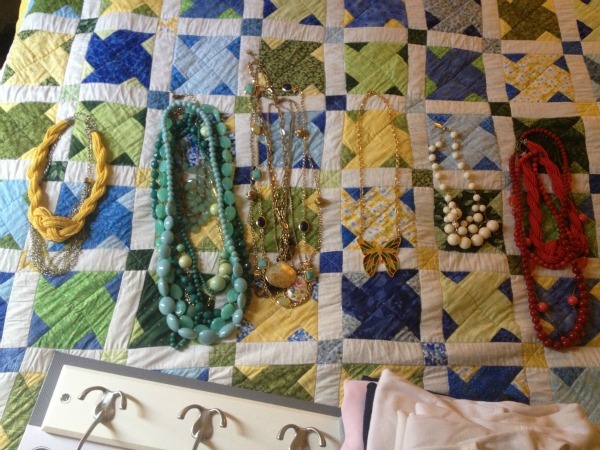 For a very long time I’ve kept my necklaces in two boxes. The first one was for my large costume jewelry and the second for necklaces that are a bit more delicate. The delicate ones I kept in individual plastic baggies to protect them. This system worked for a little bit, but I found myself going for the same necklaces all the time because it wasn’t easy to see all my other options. I needed a change, but I didn’t know how I wanted to organize them. I watched this video (fast forward to 4:00) and really liked how she had all her necklaces hung, so I started the hunt for a good hanger system. At Target I found one that was amazing because each hook was broken up into three hooks, so there was a total of fifteen places to hang different groupings of necklaces. 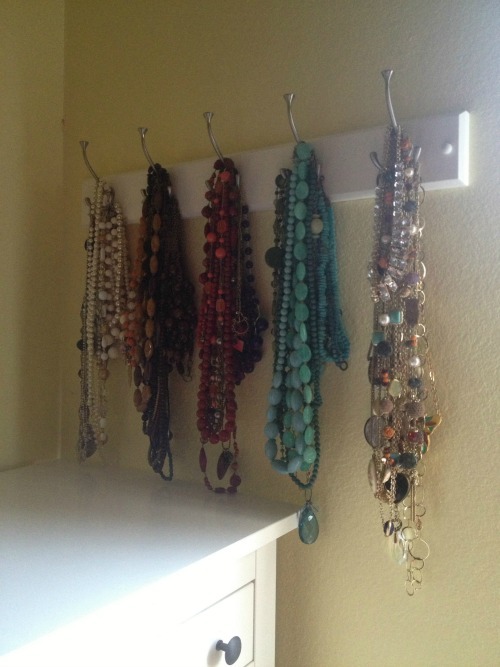 Then my incredibly handy husband hung the hook system up for me and I transferred the necklaces to it. The whole process took only about a half hour and I’m so happy to have all my necklaces visible and my dresser top cleared off. 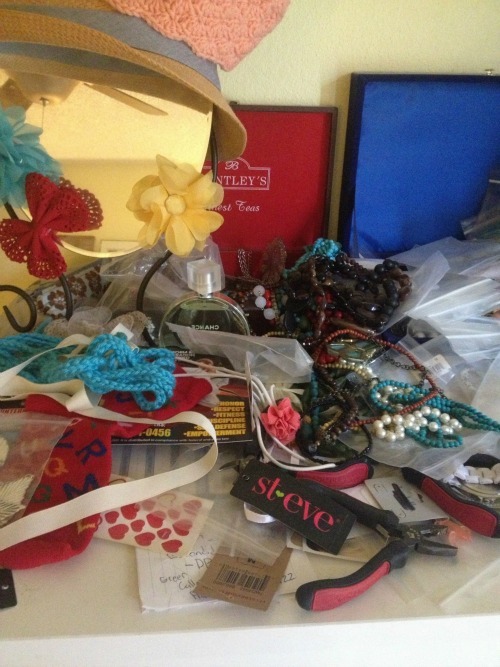 Now to organize my earrings and bracelets. Any suggestions? I don’t know how many earrings you have or their sizes, but you could use a tackle box…I used to keep embroidery floss in it when I was younger and made friendship bracelets!